Died: 11 December 2012, California, U.S.
Pandit Ravi Shankar, the legendary sitarist, was born at Benaras on April 7, 1920. His father, Dr. Shyam Shankar Chowdhury, a Bengali Brahmin from the village of Kalia in the Jessore district (now in Eastern Pakistan) had been a diwan, or minister in the service of the Maharaja of Jhalawar, for some time. Besides being a statesman, he was also a great pandit in Sanskrit and Philosophy and had studied the Vedas and the Vedic hymns and had learned to sing ‘dhrupad’. Dr. Shyam Shankar Chowdhury had five sons, Uday, Rajendra, Debendra, Bhupendra and Ravi. When he retired from the Maharaja’s service in Jhalawar, a pension was arranged for the family and he left for London to practice law. The whole family was musically inclined. Ravi Shankar’s father had learnt the old dhrupad style of singing from the famous been player, Mithailal. His mother, being a close associate of the Maharani of Jhalawar, got ample opportunities to attend the musical events held in the Maharani’s private court where all the famous women singers of the time rendered beautiful songs. His brother Rajendra was an active member of a social-cultural club and often took part in its music sessions. He had some musical instruments at home. 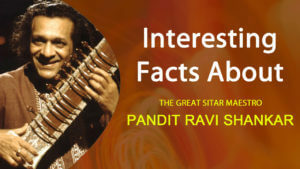 In this musical atmosphere, Ravi soon developed an interest in vocal as well as instrumental music. As a child Ravi Shankar was a part of the dance troupe of his brother, Uday Shankar. Although Ravi Shankar was a good dancer, he was also attracted towards music. At the age of 18, however, he left Uday Shankar’s troupe and starting learning the sitar from the famous Indian musician Ustad Allaudin Khan. Ustad Allaudin Khan was a strict disciplinarian. The typical style of Ustad Allaudin Khan can be clearly seen in Ravi Shankar’s inventive style and asymmetric rhythms. Pandit Ravi Shankar served as a music director at All India Radio, New Delhi, from 1948 to 1956. Thereafter he started touring Europe and America. He composed music for several radio scores and film scores including the music of ‘Gandhi’ and the famous movie of Satyajit Ray’s ‘Pather Panchali’. He also composed music for ballets based on the texts of the great poet and writer, Rabindranath Tagore. As a composer, teacher and performer Ravi Shankar has done a lot more for Indian music than any other musician. 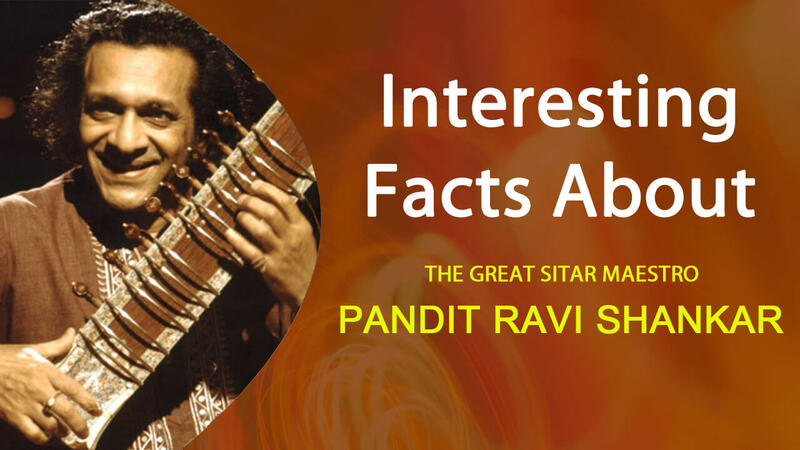 He is well-known for his pioneering work in bringing Indian music to the West. In the 1960s Ravi Shankar taught music to the British singing group ‘the Beatles’. His association with the Beatles and Yehudi Menuhin, the violinist, helped in bringing Indian music on the international scene. Ravi Shankar has written two concertos for sitar and orchestra, violin-sitar composition for Yehudi Menuhin and himself. George Harrison of the Beatles produced and participated in two recorded albums. “Shankar family & friends” and “Festival of India” composed by Ravi Shankar. Pandit Ravi Shankar is an honorary member of the United Nations International Rostrum of composers. He has received several awards and honours from all over the world, including fourteen doctorates, the Padma Vibhusan, Desikottam and the Magsaysay Award from Manila, two Grammy’s, the Fukuoka grand prize from Japan, the Crystal award from Davos, with the title ‘Global Ambassador’. In 1986 he was nominated as a member of the Rajya Sabha. His recording, “Tana mama”, released on a private music label in 1987, brought a new wave in the world of music, with its unique method of combinating traditional instruments with electronics. Pandit Ravi Shankar is equally loved and respected in India as well as abroad. He has many disciples, both Indian and foreigners. People come from far and near to see his fingers move magically over the sitar strings and hear the sweet, melodious music they create. This great artist was honoured with India’s highest civil award, the “Bharat Ratna”, in the year 1999. He certainly has done India proud.